The Central Drugs Standard Control Organization is the Indian regulatory body for pharmaceuticals and medical devices, being the equivalent of the FDA in the US. The CDSCO is responsible for the regulating the manufacture, approval and sale of medical devices and drugs in India, for clinical trials as well as for providing expert advice on health issues and the enforcement of the Drugs and Cosmetics Act. 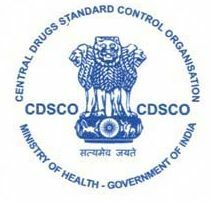 The department within the CDSCO responsible for regulating medical devices and drugs is known as the Drug Controller General of India (DCGI), in institution under the Indian Ministry of Health and Family Welfare. Inspections, audits, post-market surveillance and recalls are done through the department that is split into zonal offices. A list of CDSCO regulations can be found here on our website.